Ready in a few days, at the comfort of your home all year. Each seed is a treasure casket containing information and abundant nutrients necessary to generate into a sprout that then matures soon into a plant. During the sprouting phase, transformations occur within the seed that increases the nutritional value of the sprouts and make them a light and easy food source to digest. Water, oxygen and the right temperature are the only conditions necessary to activate this process. Thanks to their experience and passion, Bavicchi have developed 3 types of sprouters that guarantee easy operation and certainty of the result; the plastic model, practical and large, allows to obtain high quantities of product. The terracotta model, natural habitat of the shoots, allows rapid growth and finally the glass model, easy to use, which is the most economical way to produce sprouts at home. We also offer the handy sprouting pouch that is easily accompany you even when traveling. The Geo Plus Sprouter is a practical three tier sprouting system to get you off to a flying start with this healthy, year-round miniature kitchen garden. 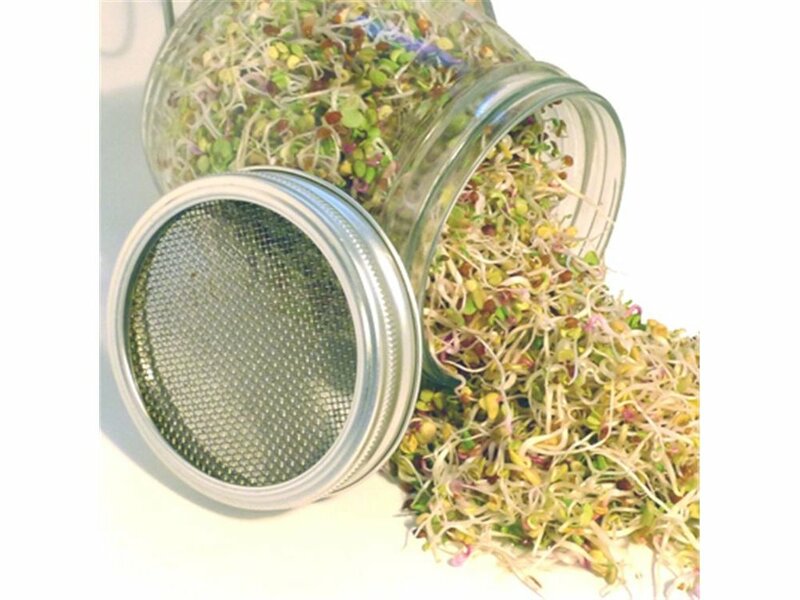 With the Geo you have everything you need to produce your own sprouts indoors and maintain a fresh supply of this highly nutritious living food to add to your recipes. Simple, attractive kitchen sprouter for your kitchen. Select from 26 GEO Organic seed varieties that you can grow. GEO Terracotta sprouter is a fine example of the traditional art and expertise of Tuscan craftsmen. Made entirely of natural terracotta, it features hexagonal trays with an innovative spacing system that gives the grower complete control of the sprouting environment. Trays can be either stacked with a gap between, to allow light to get to the sprouts, or without a gap to create a damp dark environment that is ideal for germination and growing beansprouts. Do you want to sprout in a fast, practical and economical way? Geo Jar is bringing many people to the world of sprouts thanks to its economy and above all for its ease of use. Suitable for almost all types of seeds, with the exception of mucilage, it is made of glass and stainless steel and is very well presented thanks to its graceful drip tray. 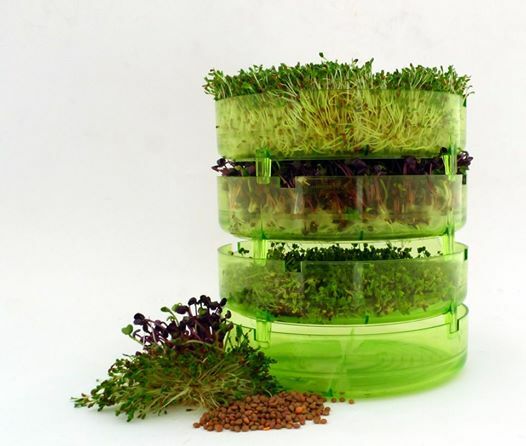 Here is the sprouter that allows everyone to enter the fantastic world of sprouting! It has been documented that shoots produced in bags has been taking place since ancient times, when the ancient Romans used them during the long campaigns of war or trips to the sea. This comfortable sprouting utensil, designed by Steve Meyerowitz, considered one of the top American experts in sprouting, consists of a mix of fabrics that allows it to breath and therefore easy to use. Suitable for almost all seeds, with the exception of mucilage, it can also be used on the go. Put the seeds, wet and in a few days you will have your sprouts ready to be eaten! A series of manuals in English of renowned authors of the Geo world that will give you valuable advice on natural food, biological crops and on the creation of tasty recipes also based on fruit and vegetable juices.